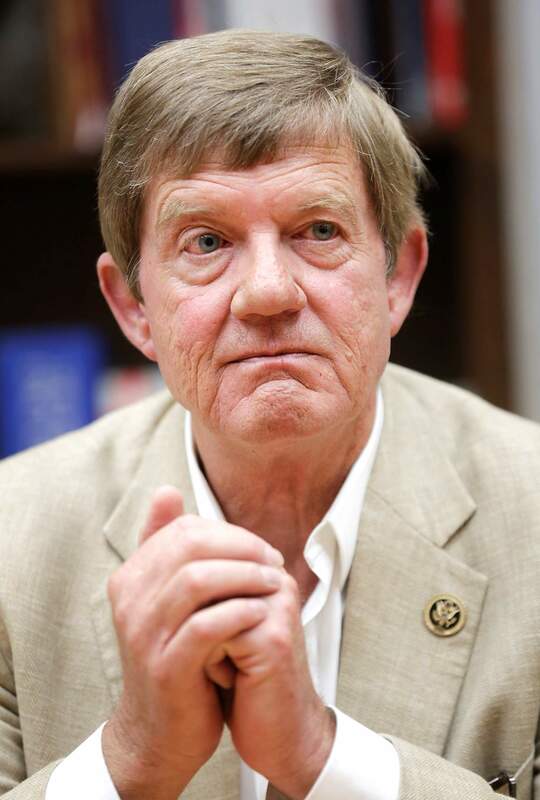 U.S. Rep. Scott Tipton, R-Cortez, speaking to The Durango Herald editorial board Monday, says he and other House Republicans are planning to launch congressional investigations into the Environmental Protection Agency’s handling of the spill. Since 3 million gallons of orange sludge descended on Durango on Aug. 5, the levels of metals pollution in the Animas River around Durango looks to have returned to normal. But in terms of political fallout, the Gold King Mine disaster shows no signs of dying down. On Monday, U.S. Rep. Scott Tipton, R-Cortez, told The Durango Herald’s editorial board that he and other House Republicans are planning to launch congressional investigations into the EPA’s handling of the spill. Tipton said when he visited with the EPA’s Shaun McGrath, administrator for the agency’s Region 8 office in Denver, Tipton complained that his office had been given no notice of the spill. “To the EPA’s credit, they apologized,” Tipton said, saying he also appreciated that the EPA’s top administrator, Gina McCarthy, had visited Durango. But, Tipton said, House Energy and Commerce Committee Chairman Fred Upton, R-Michigan, and House Committee on Natural Resources Chairman Rob Bishop, R-Utah, plan to hold the EPA accountable for its role in triggering the Gold King Mine spill. Asked whether the investigations are going to be theatrical congressional exercises in extended EPA-bashing, Tipton said he didn’t think so. Tipton said whenever a private company causes environmental damage through a mine spill, the EPA scrutinizes the company through its criminal investigations division. “We need to follow the same protocol for the EPA that we do for the private sector,” he said. According to the Associated Press, the EPA’s inspector general is also launching a parallel investigation into the agency’s handling of the Gold King Mine spill as well as the events that led up to it at the behest of Congress. Still, Tipton said, other congressional committees may yet choose to investigate the EPA. Tipton said President Barack Obama had not yet responded to a letter he coauthored with Colorado U.S. Sens. Michael Bennet and Cory Gardner and New Mexico U.S. Sens. Tom Udall and Martin Heinrich requesting federal intervention in the aftermath of the disaster. Tipton said, going forward, he is rededicating himself to good Samaritan legislation, a complicated law he’s spent many years trying to pass only to have it jettisoned by fellow lawmakers whose constituents have no firsthand knowledge of the environmental damage done by Colorado’s mining industry. A good Samaritan law would allow groups that don’t have any ties to a mine to do reclamation, but they would have to meet Clean Water Act standards. Tipton said he’s trying to figure out whether Durango and other communities affected by the Gold King Mine spill might serve as part of a good Samaritan pilot program. A pilot program, he said, might show that “good Samaritan legislation can work” and “move the needle to get some actual resolution to the challenges we’re facing,” he said.